All eligible candidates can apply Odisha CT Entrance Exam 2019 Online through the official website of SAMS Odisha www.samsodisha.gov.in. 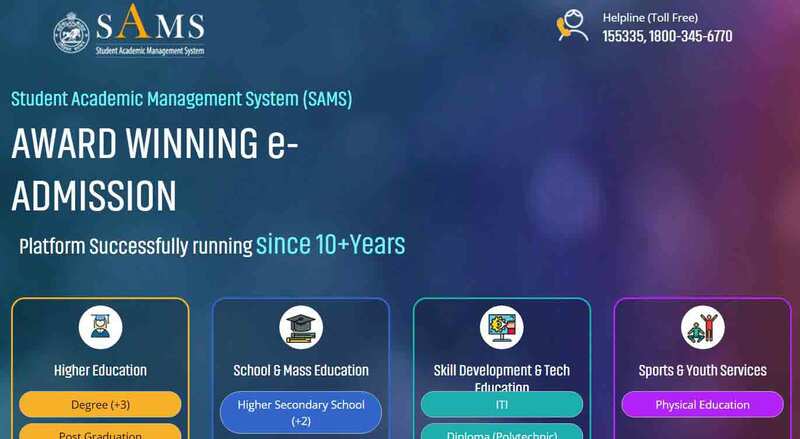 All SCERT Courses like B.Ed, M.Ed, D.El Ed (CT), B.H.Ed, B.P.Ed, M.Phil also can be applied only online mode through SAMS Odisha. 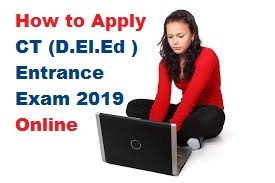 In this post, you can get knowledge about How to Apply CT (D.El.Ed ) Entrance Exam 2019 Online. To know more please scroll downs this page. Teacher & SCERT has released a notification regarding online application form for all SCERT Course along with Odisha D.El.Ed Course at the SAMS Portal samsodisha.gov.in. In this notification, you can know the online application apply schedule like the starting date and the last date to apply. And also you can get all details information about how to How to Apply Odisha CT (D.El.Ed ) Entrance Exam 2019 Online. You can apply Odisha CT Entrance Application form 2019 only online mode, no other mode like offline is available for apply CT application Form. 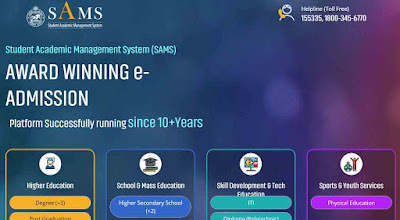 Candidates who are willing to take admission in D.El.Ed (CT), and other SCERT courses can apply online through the official website of SAMS Odisha. The Odisha CT Application Form 2019 is available at SAMS Odisha website samsodisha.gov.in. To apply online You can access application form from 1st April 2019 11.00 AM andthe last date for apply CT Entrance 2019 is 24th April 2019 11.45 PM. The online Fee Payment the last date is 25th April 2019 11.45 PM and the last date for Odisha CT Entrance fee payment offline mode date is 26th April 2019 11.45 PM. You can pay through any Axis Bank, the list is available at SAMS Odisha Website or Pay via Net Banking, Debit Card. You must have a qualification and passed Higher Secondary Examination/ +2 Exam in Arts /Science / Commerce or it’s equivalent from recognized Boards /Councils. You must have secured at least 50% marks in aggregate. At least 45% of marks in aggregate in case of SC, ST, SEBC and PH candidates. You must be Odia as MIL up.to HSC/10th class level. Submit the equivalent certificate at the time of admission. from recognized Boards / Councils are also eligible to apply for Odisha CT Entrance 2019. 1. First, visit the Official website www.samsodisha.gov.in. 2. Then Click on "Teacher Education and SCERT"
3. Click on “New Student Register Now" and create your Id & Password by giving your name, Mobile No and Email Id by follow the process. 4. After creating UI and Password, you click on “Existing Student Login"
5. Next, you Click on “Application Form” and fill all the data of this form carefully. 6. Upload your Photo and Signature with the proper size. 7. Next Option is “Payment "option, you should pay your fee by online mode or offline mode by using different payment method. 9. Click on the “Print " option for print out of your submitted Application and keep it for future need. If any question regarding Apply Odisha CT (D.El.Ed ) Entrance Exam 2019 Online. Please leaves a comment below in comment box.